All India Postal & RMS Pensioners Association : Can We Expect 7th CPC Recommendations soon? Can We Expect 7th CPC Recommendations soon? 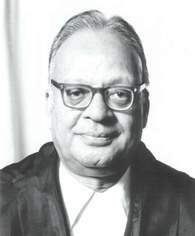 1.Sri A.K. MATHUR,chairman ,7th cpc told the press on 24th August that he will submit his report before 30th September. 2.Cabinet decided on 26th September to extend the tenure of 7th cpc up to 31-12-2015 which raised the suspicion that the submission of the report may be delayed. 3.But so far,until today, the finance ministry has not issued the extension order by notification. 4.The cabinet decision for extension was taken in the context of one rank one pension issue. The government wanted to refer the issue to 7th cpc.But the veterans did not agree to the suggestion. Now the issue has been settled outside the 7th cpc.Hence the need for the extension becomes unwarranted. It is why i think the finance ministry has not issued the extension order and the term as of now has ended on 27th August.7th cpc website also has not posted any extension of their tenure as no order exists for that. 5.Now cabinet has taken early decision on 1st july 2015 da so that the 7th cpc can include this da to evolve the formula for revision on 1-1-2016.You are aware that there will be no da on 1-1-2016 either of 6th cpc or of 7th cpc. 6.Government also has indicated the amount what is feasible and desirable to them through Arun jaitely’s medium term expenditure framework statement by suggesting an increase of about Rs 15000 crores which will be 25% of the basic pay. Even for 40% Rs 24000 cr is needed.Our demand is for 152% more over the existing 219%.Any increase can be possible out of the united struggle.Seriously prepare for the united struggle. 7.Under these circumstances i presume the 7th cpc may submit its report before or on 30th September 2015. Dearness Relief to Pensioners from 1st July issued! NCCPA Circular on latest developments!